To say that we’ve had a whirlwind start to our relationship with the good people at adidas would be an understatement. 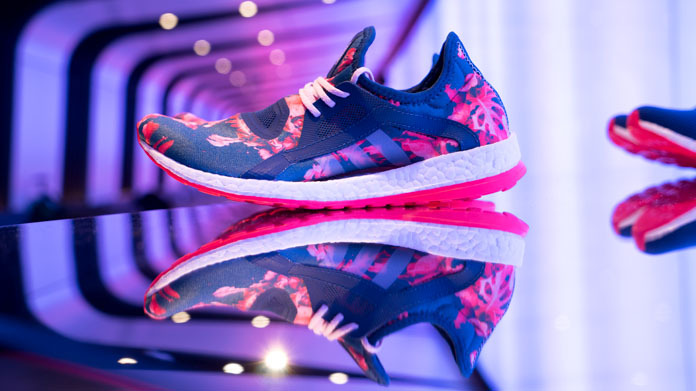 Our latest outing for them has been a spot of event-based launch activity for the all-new PureBOOST X women’s running shoe. 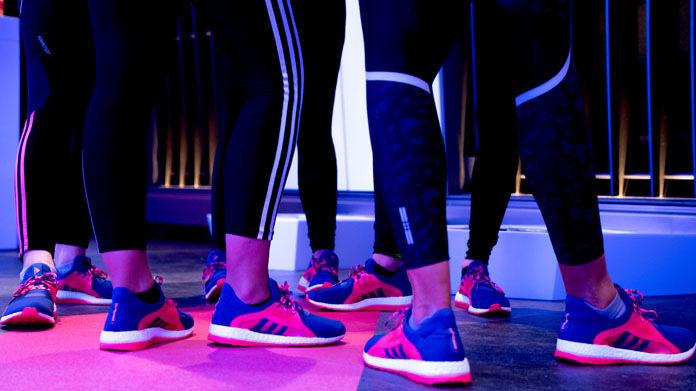 The event was designed to tell the story of the shoe – a first for adidas as it’s been designed for women only – and then give over 40 social influencers and media experts the opportunity to put it through its paces. 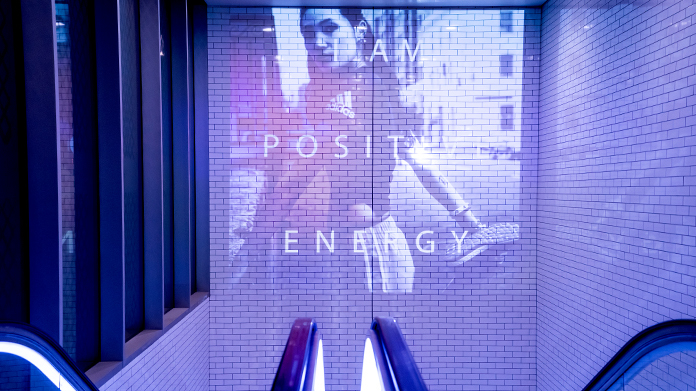 As our guests arrived, they descended into one of the brand spanking new foot tunnels at Kings Cross, complete with pristine tiles and 100 metre long light wall. 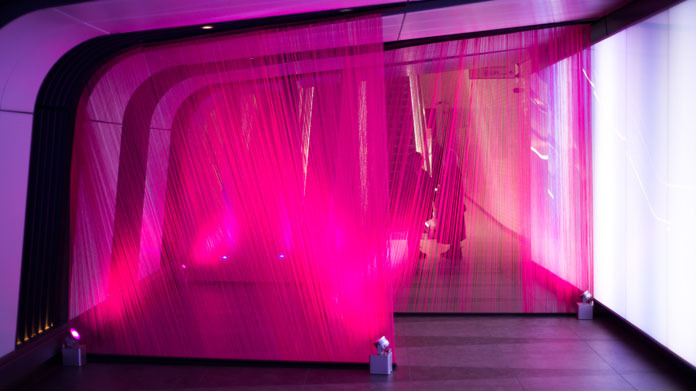 They were then fitted for their shoes before they stepped through our wall of mesh and into the space. 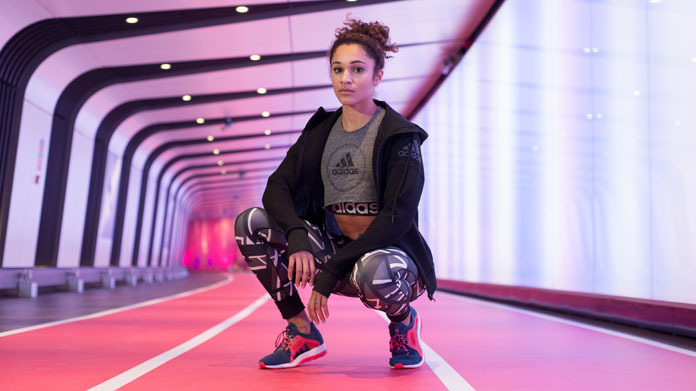 First up, our assembled attendees were introduced to the shoe by lead designer, Ben Herath from adidas and were told about its performance capabilities by Olympic hopeful sprinter, Jodie Williams. From there, they were led in a warm up by the guys from 1Rebel and then given the opportunity to step onto our underground 60 metre running track. 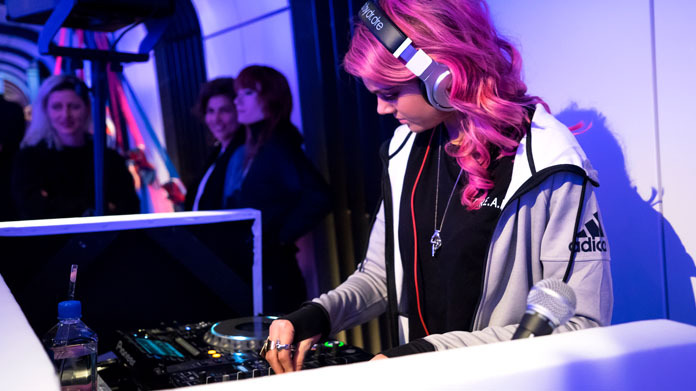 Their test sprints were fuelled by a soundtrack from MTV star and DJ Becca Dudley, which put a spring in their step. 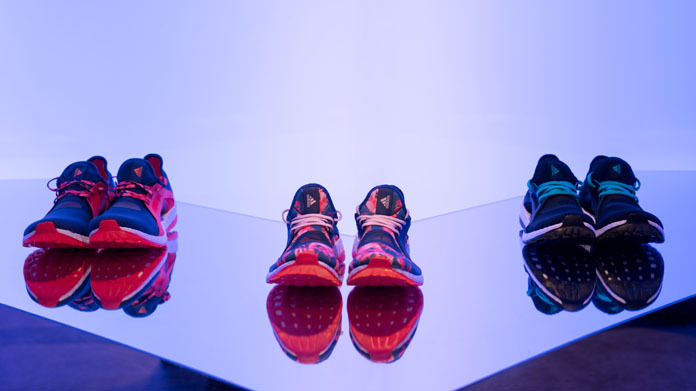 Against a backdrop of choreographed light show and a series of installations to show off the shoe in all its glory, the night was a riot of running, work out and exercise. Throw in a foot selfie box and bags of Instagram friendly set build and it all went with a swing. 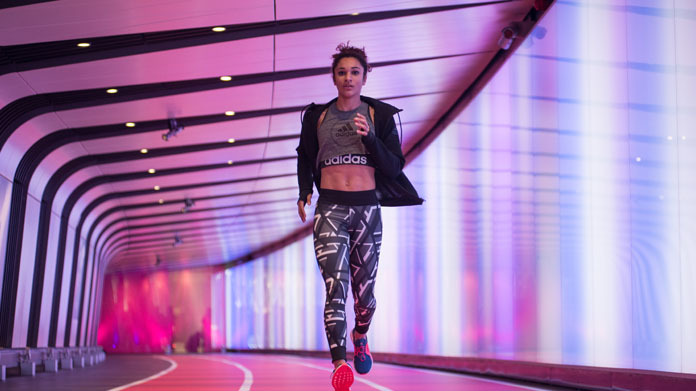 The result was a wall of social media shareability and endorsement from the most followed in women’s fitness and running, alongside set-piece interviews with the traditional media titles and bags of banked coverage across the board.